← A Right Royal Mess…. “We have consistently and directly raised with the Chinese government our concerns about Tibetan self-immolations, and we have repeatedly urged the Chinese government to address its counterproductive policies in Tibetan areas that have created tensions and that threaten the unique religious, cultural, linguistic identity of the Tibetan people. We’ve also repeatedly urged the Chinese government to allow access to all Tibetan areas of China for journalists, diplomats, and other observers so that we can get accurate information and so that you can get accurate information. “And let me take this opportunity to again call on the Government of China to respect the rights of all of its citizens who peacefully express their desire for internationally recognized freedoms, and particularly the rights of Tibetans to resolve their underlying grievances with the Government of China.” These quotes come from the International Campaign for Tibet, and more can be found here. 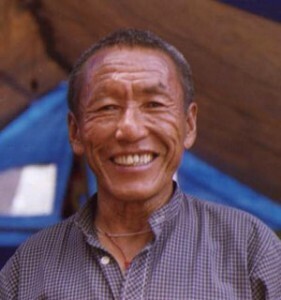 I should declare my interest in this sorry situation; While I was an English teacher in the small monastery of Dip Tse Chok Ling in Dharamsala I lived in the former cell of Thupten Ngodup (pictured), the former cook and cow herder of the monastery. “A video shot by Choyang Tharchin of the Department of Information and International Relations (DIIR) shows Thupten making his way to the public toilet. He opened a plastic container of gasoline, which he must have hidden there earlier, and dowsed himself thoroughly. Then he struck a match or flicked a lighter. .. When he came out he was, quite literally, an inferno. The DIIR video makes that horrifyingly clear. We see him charging out to the area before the hunger-strikers tent, causing chaos in the ranks of the police as well as the Tibetans there. A very English female voice — off camera — screams’ “Oh my God” Oh My God” again and again. With that and other screams and shouts, it is impossible to hear what the burning man is saying. According to someone there he shouted “Bod Gyal lo” or “Victory to Tibet”. Others heard him crying “Bod Rangzen”, or “Independence for Tibet.” He also shouted “Long live His Holiness the Dalai Lama”. How on earth he managed to shout anything, much less run about as he did is a mystery to me. Every breath he took must have caused live flames to rush into his lungs and sear the air sacs and lining. I moved into his small cell only a few months later in late 1998. People often ask me why I ended up studying Tibet; why something quite, so, well, pointless? I guess living in such a monastery and community had a profound effect on me, and planted a small seed that really has only begun to germinate. More important, and sad, is that the situation that lead Thupten to set himself alight is still prevailing. While the international finger pointing goes on, with the Chinese news agencies bitterly criticising the Dalai Lama for not condemning the protests, and the Tibetan Government in Exile urging restraint and dialogue, one thing is for sure, I fear that this distressing and despairing trend will sadly continue.